So, this is interesting. A user over at reddit figured out how you can jump on a voice call through Google Hangouts on Android. This minute. Right now. Using your phone (with a little help from your computer). It works, for the most part, but clearly needs some final touches. 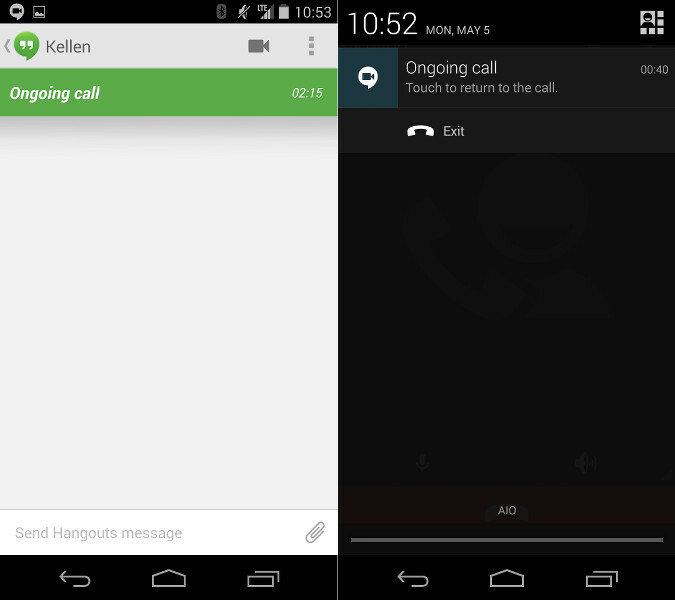 This is the deal – we have been waiting for Google to fully build voice calls into Hangouts on Android for some time. We know it’s coming – Google has said as much. In March, a report claimed that within a couple of months, Google Voice should be fully killed off in favor of Hangouts. Unfortunately, until Google flips the switch or releases an update with call integration baked in (like it has been on iOS), this feature will remain on our list of must-have features. But thanks to this method, making a voice call through Hangouts sort of shows that the capability is close to being baked in. Does that mean we are close to a release and full voice call action? Tough to tell. 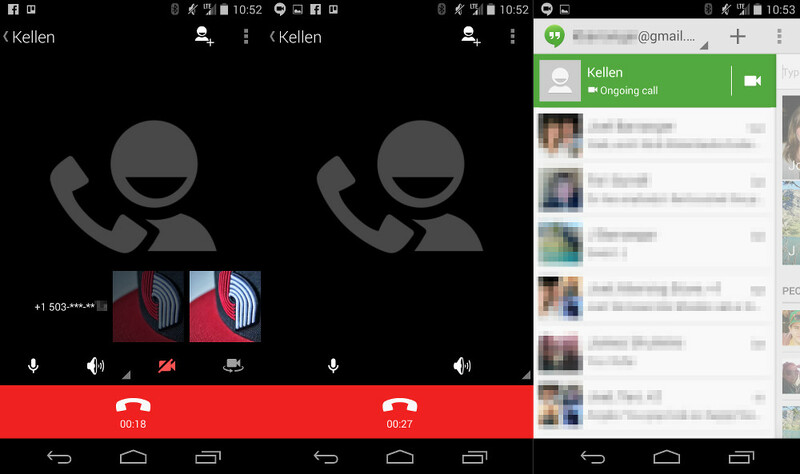 But if you want to make a voice call today, through Hangouts on Android, this is how you would do it. 1. Initiate a phone call through Hangouts on your computer. 2. Once the call has been answered on the other side, open up Hangouts on your phone. 3. You should see an “Ongoing call” listed in your conversations. 4. Open that conversation and then tap on “Ongoing call” at the top in green bar. 5. You should then be taken into a voice call with the phone number listed at the bottom. 6. You can leave the conversation on your computer and continue on through your phone. So this isn’t exactly the full integration we were looking for, but it’s still something. The reddit user who found this work-around has noted in a post that he discovered this method two months ago, but that the integration was pretty rough at the time from a UI standpoint. The UI now seems to be updated and primed for voice calling – all we need is a button or option to place calls. Also, I was able to switch between WiFi and LTE on my phone while on the call and it stayed connected, so this isn’t just a WiFi-only thing.